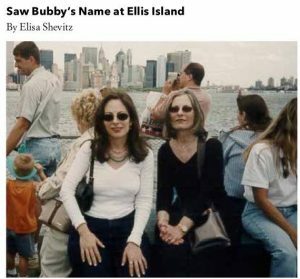 As I thought about expanding the Memoirist of the Month column beyond some of the most prolific Sixers on SixWordMemoirs.com to also include Sixers who have made a big impact offline, I immediately thought of Elisa Shevitz. In 2008, we met in one of the best “real spaces” there is (at least in my book): a Six Word book party. That night she shared a number of short, sharp life stories, and has been a friend of mine and SMITH Magazine ever since. 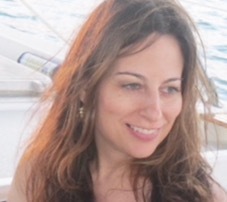 A publicist turned writer (“Downtown girl, lives uptown for now”), Elisa was naturally drawn to the what she calls the “fun, addictive, and contagious” world of SMITH Mag and Six-Word Memoirs. Before learning about SMITH, she had written a novel, but was bashful about showing it to anyone, instead leaving it in the proverbial desk drawer. Yet this community helped her find the courage to share her creativity with others. The first personal essay she shared online was “My Summer of Being 28 Again” (to SMITH Magazine’s “My Ex” section). She frequently peppers her Sixes with backstories and images, moved to share both the personal part of her life (“Between jobs, between boyfriends, between sizes.”) and reactions to current events (“Our voices are louder than gunfire.”) Elisa has not only contributed to six Six-Word Memoir books (including a photo and backstory in Six Words Fresh Off the Boat), but she came up with one of the titles. When I texted her to share the good news about getting a grant to put together Six Words on Jewish Life, she immediately responded with, “Oy! Only six? Why not more?”—and a title was born. Read more about Elisa as she answers our Six Questions. 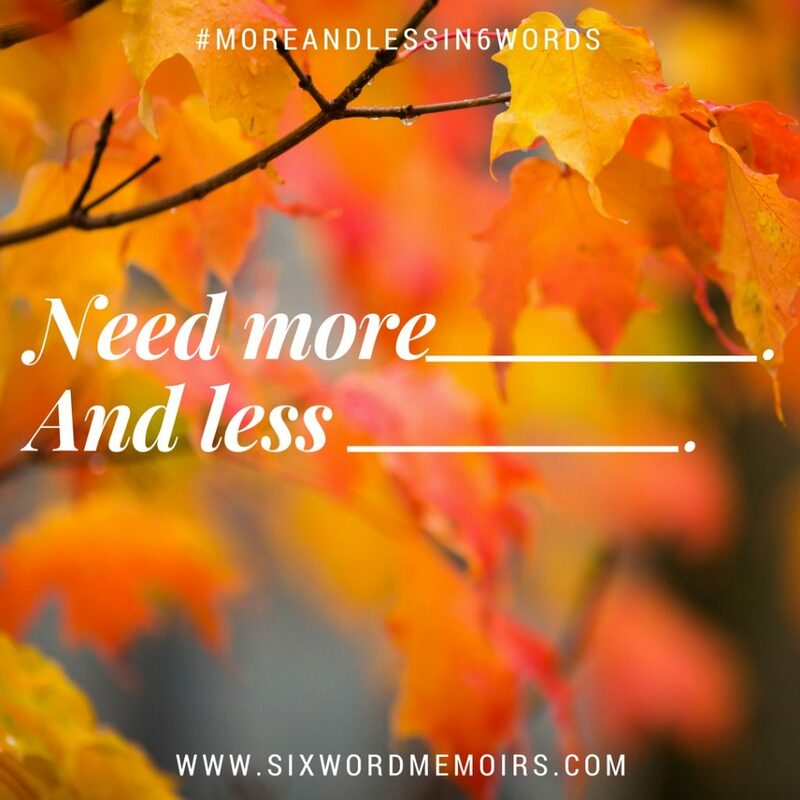 How did you first hear about SMITH and Six-Word Memoirs? When did you start writing, and what have been turning points in your creative life? I think others identified me as a writer before I did. My cousins and friends often commented on birthday cards or poems I’d written for them. I always had a spiral notebook jammed with short stories, poems, thoughts, and creative writing came easy for me. For various reasons my career path led me to corporate communications, but I always preferred Shakespeare over statistics, prose over publicity! Joining writing workshops gave me the courage and encouragement to write a second novel. Along the way, I got to know SMITH Magazine quite well and approached Larry about launching the Freeze Frame idea on the site. Then I collaborated with Larry and the Tony Awards to create projects highlighting the Six-Word Memoirs of Tony nominees, first via video, then on Instagram. 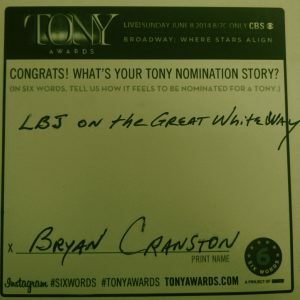 At the Tony Awards Nominee Luncheon, it was beyond satisfying to convince an actor, director, playwright, composer, or producer, to write a memoir and then to read their cards with heartfelt, poignant and sometimes hilarious feelings on being nominated, in six words. 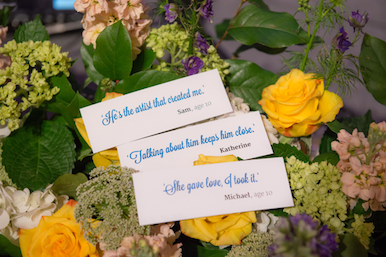 Please share a favorite Six-Word Memoir, Moment or other backstory of yours on SMITH and tell us why it’s meaningful to you? “Insomniac dreamer; a thousand times goodnight,” was one of my earlier Sixes that truly described me in the sense that I’m a night owl who sees the world through a romantic haze (with a nod to the romantic star-crossed lovers thing). I was thrilled when it was selected to be in the second Six-Word Memoir book. I remember there was a SMITH challenge to create a one-word title for your autobiography. I wrote, “Drama,” and for that moment in time it felt like it all made sense. SMITH made my uniqueness feel accepted. Another time—it t must have been July 4—the site prompted six-word questions (before Questions was a stand-alone topic) and I wrote, “Life, liberty and the pursuit of … .” The community responses were lots of fun. After the surprise of the last election, I was especially distraught how immigrants were being treated. Isn’t the premise of America is that almost all of us were once from somewhere else? Six Words Fresh Off the Boat was born at the perfect time for our country and the personal timing of my “woke” moment and how much I cared about the issue. Having a Six-Word Memoir and a backstory included in that book was a moment of deep pride for me and my family. 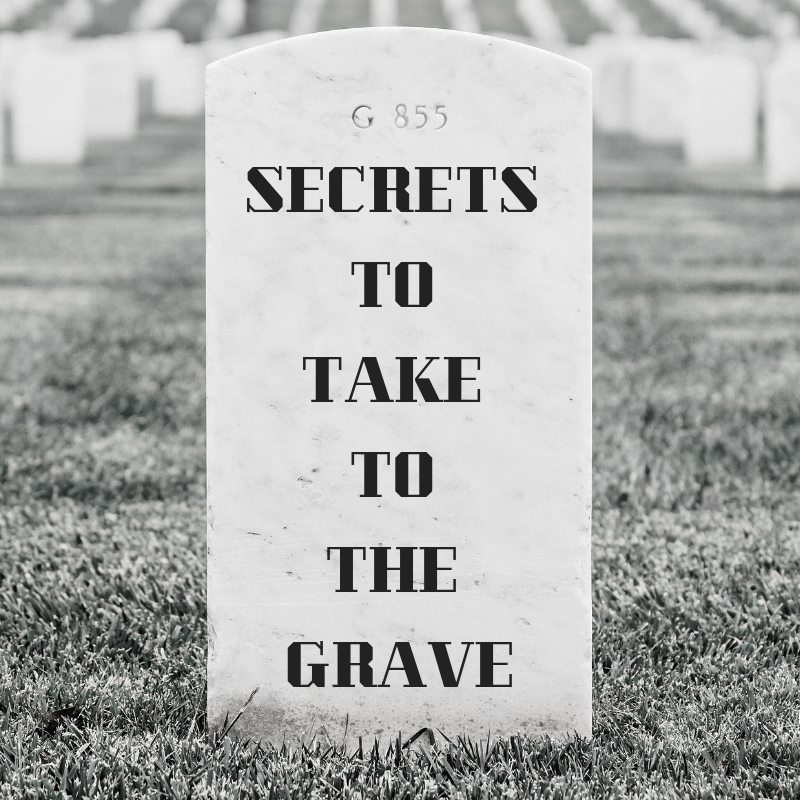 Many world events have inspired daily sixes—government events good or bad, celebrity deaths, personal happenings, dear love for my family and friends. Inspiration can come from protest signs, quotes, overhearing a chat on the subway—and everywhere. What authors inspire you or do you admire? I follow the literary musings of many thought leaders, artists, and incredibly witty writers on social media and print publications. But when I shut out the world to retreat into a book, I must confess I gravitate towards classic romance novels and modern mystery thrillers. I grew up reading biographies because that was my favorite way to learn history. Favorite authors include: Rosamunde Pilcher, Daphne DuMaurier, Jane Austen, Emily Bronte, Charlotte Bronte, Agatha Christie (Mary Westmacott too), Dorothy Parker, Nora Ephron, Robert Galbraith (aka JK Rowling), as well as all dozens of modern page-turner thriller authors and countless others. It seems like I only read women authors but that’s not true! Next on my reading list: Fates and Furies, by Lauren Groff; The Woman in the Window by A.J. Finn; Grist Mill Road by Christopher Yates; The Nightingale by Kristin Hannah. Honestly, some of the earlier Sixes continue to move me. “I still make coffee for two” is one of the best examples of telling a story in six words, and I love that its story can be interpreted in different ways. The prolific community members are like friends who I don’t always see, but I know they are there. You know how when you don’t see your friends’ kids for a while and then you’re shocked that they’re older? Well, the site has expanded and increased its scope over the years, so it’s both delicious to read new writers and comforting to recognize the plethora of familiar names too. I’m bad at remembering names, but I recall when HannahMo had her first kiss; when DynamicDbytheC was suffering a terrible loss and finding comfort in her Six community and her words; and I can’t help still laughing out loud while reading BanjoDan and Wackjob’s over-the-top life observations. I love the teens—I so often relate to their angst and heartache and hope. What does that say about my emotional maturity?! However, I do believe that they are the generation that will effect positive change for all of us, and I’m certain that Six-Word Memoirs will inspire many of them to find their way as writers. I adore reading books, attending theater and movies and concerts, watching good TV (I guess I’m attracted to stories), and of course hanging with my wonderful friends and family. I enjoy indulging in a cocktail or two at bars and parties, and volunteering at the nonprofit, New York Cares. Travel is my soul and I love to journey on my own as well as with friends; it’s the only time I’m truly laid back and calm. I’m an easy traveler, adventurous and ready for anything. Finally, what are your Six Words for today? The next act, the next chapter. You’re a real deep thrkien. Thanks for sharing. Congrats!! You are one to be recognized. Congratulations! I enjoyed reading about you. Damn, I wish I could think of sotmnhieg smart like that! Congratulations on being April’s MOTM, Elisa! Most interesting person you are. Love your Sixes. Thank you for your wonderful contributions to our community. It’s great to get to know you a bit better. Dear Elisa, it was fascinating to learn more about you and your interests and your love for literature and writing. Congrats on a well deserved MOTM! Congratulations Elisa! A beautiful way to start the month of April. Enjoy it! Knocked my socks off with kneodwlge! What a great interview about you! Although you don’t post on a regular basis, I’m very familiar with your name and recognize it immediately when I do see you post! It’s neat to learn how you and Larry met. I enjoyed watching the Tony Awards nominees share their sixes. Congrats on the MOTD! Lovely to read you Eliza! Congratulations!! So lovely to meet you! I enjoyed the Tony Awards Sixword memoirs the first time I saw them! I used to read them everytime they’d pop up on the Sixword homepage. Sometimes I even searched for them. I thought that that was the greatest idea!! I was absolutely delighted when I saw Neil Patrick Harris’ contribution. I might have squealed in delight. Stage theater is so dear to my heart! You’re very creative, Eliza. Very nice interview. Maybe I just imagined NPH writing a Tony Six. I’m often wrong in my memories and now can’t find it. Must fact-check next time before gushing! But it’s very true I loved the Tony Nomination Memoirs!! Congrats again on all you do, Eliza! Thanks for your kind words! Neil Patrick Harris contributed his Six-Word Memoir for one of the books (“Barney, Doogie—average names elude me!”) and has been host of the Tony Awards, so that’s most likely what you recall. You ALL are my talent crushes! Heartfelt thanks for the lovely comments everyone, greatly appreciated. Congratulations, Elisa. I am a fan! Thanks for sharing more about you Elisa; it’s a treat to get to know you a bit better. Your writings (and all of your contributions) are a wonderful addition to the site! Congrats to you, Elisa, for being MOTM of April. It’s always nice seeing your Sixes, and know they are from an original of this Site. You’re always inspiring us. Elisa, A well deserved recognition and a treat to know more about you. Beauty, brains and moxie. I didn’t realize that you came up with the title of the book. Now I have to go back and review your memoirs, feel like I missed too many gems. So many people mention BanjoDan, he makes all of us laugh. I am honored that a talented woman from NYC noticed my sixes. Very touched. My muse lives on in my heart. Congrats, Eliza! Great to read about you! I want to send you an award for most helpful inrneett writer. Just checked in after a few weeks away and was very interested to read about your life Elisa. Good to see that your many contributions to this community have been highlighted. Enjoy your featured month and congratulations! I just wanted to remind you that http://smartessayrewriter.com/blog/proof-reading-websites-online-no-errors-allowed is what you might need any time! Do not ignore this message! Our writing assistance is always demanded by people!